Imagine the topography of your tongue as the front lawn of your home. When you have bad breath, there is a coating on the tongue similar to a fungus that has infiltrated the nooks and crannies of your lawn. To eliminate the fungus damaging your lawn, would you use a tool that only removes the top layer? Of course not — because you’ll never get to the real source of the problem. Here’s how a tongue scraper works: it only removes the top layer of an insidious coating and cannot get to the very bottom where the actual tongue is. That thick, deeply packed and dense coating, as I have seen in over 20+ years and over 7000 people, has been building for months, years, and even decades – microscopic layer by layer – filling in all the space between the taste buds with debris – dead cells, food particles, blood cells, and other foreign matter – that then create the compounds that we smell as bad breath, not to mention the damage done to the gums by these same bacteria. 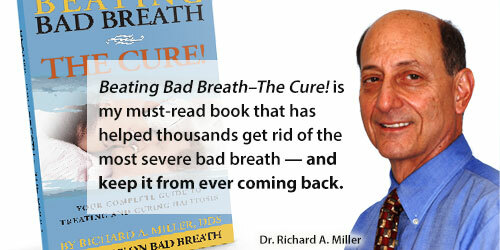 It is these deeper layers that perpetuate bad breath and it takes professional care to remove them. Unfortunately, a tongue scraper does nothing to penetrate these layers. Using a tongue scraper is only a masking solution as its penetration is minimal. Even dipping one in an anti-bacterial solution as some bad breath “gurus” recommend has little effect as the amount of solution that stays on the tongue scraper is minimal at best. To completely remove the tongue coating that has been building for some time, the tongue needs a fresh start, cleaning down to the base – Tongue Rejuvenation as the technique is called. Tongue Rejuvenation involves the total elimination of everything on the tongue surface except the normal anatomical structures, the taste buds. Tongue Rejuvenation involves meticulous removal of all the coating, which eliminates the cause of bad breath and restores the bacterial balance in the mouth, making it conducive for health, and detrimental for bacteria and their odors. This technique uncovers the absolute bottom of the coating and reveals the true base of the tongue, which is bacteria-free. It also eliminates odor production due to an abundance of the “good” bacteria. And, it can be maintained for life, odor–free! So, use a tongue scraper if you must. But remember that it has limited effectiveness. 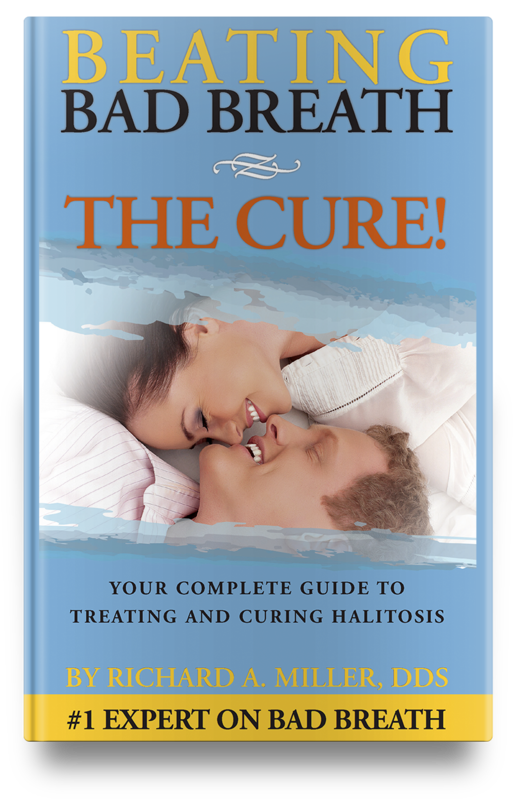 A word of caution: In my 20+ years and curing thousands of patients, I have come across at least 100 cases of torn papillae and mangled tongues due to individuals scraping too hard and too long. Harder and longer do not increase the effectiveness. So, if a tongue scraper is necessary as part of your at-home hygiene, be careful. It can also harm you.